There are very many roses of all shapes and sizes, and there are very many rose books to accompany them all. Botanica's is my favourite reference rose book. Beales, Cairns, Duncan et al. 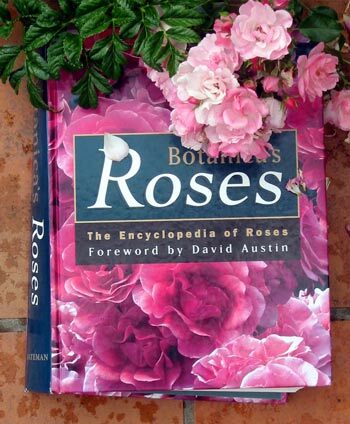 This rose encyclopedia is good value for anyone who grows roses, or for gardeners who wish that they could. It covers all well bred roses from around the world. There's a lot of good information, leaving the reader knowing what to expect from a rose. I particularly love the detailed descriptions of the flowers themselves. The photos are great, though the roses you see in this book may make your own look rather tatty. Roses are tough customers, and they won't be offended if you prefer the photos in the book.